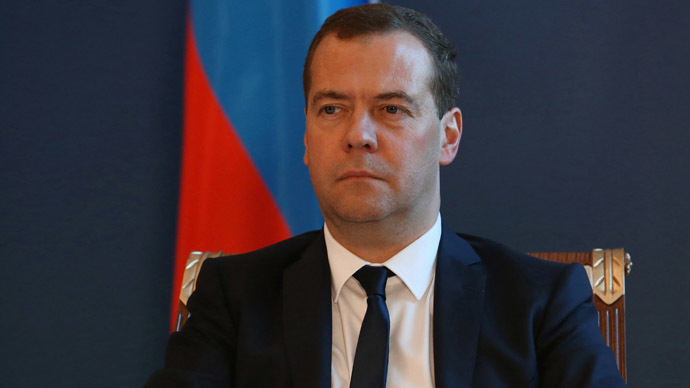 Earlier in the day Medvedev’s deputy Arkady Dvorkovich told reporters that Moscow might lift the embargo on foodstuffs from certain foreign countries if West lifts its anti-Russia sanctions. “If sanctions are not lifted the embargo will not be lifted, surely we have no reasons to lift it," Dvorkovich added. The official noted that there might be selective adjustments but no radical decisions are planned. Russia banned agricultural imports from sanctioning countries in August last year. The current restrictions are applied to meat, poultry and fish, cheese, milk, fruit and vegetables from the United States, the EU countries, Australia, Canada and Norway. The embargo was introduced for one year with possible prolongation if the situation fails to improve. Soon after they were introduced in August last year the nationalist party LDPR suggested extending the ban to food imports from nations that have an association agreement with the EU, including Ukraine, Moldova and Georgia, but this motion has found no support in the Russian parliament.